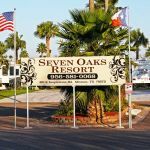 Ask fellow campers about "Seven Oaks RV Park (55+)" and nearby attractions. If I look at the last review by rangerdave I cannot recognize the park he is talking about, perhaps he reviewed the wrong park. We were first time visitors and stayed two months and from the minute we pulled into the park we were made very welcome by the long term residents some of whom have been coming to the park each winter for 20 years plus. The managers and the work campers did a great job of making sure everyone was included and enjoyed their stay. All the usual facilities and abundant activities one could expect. We are not pet owners and do not appreciate being disturbed by other people’s dogs, but we did NOT experience any issues in this park, all pet owners were very thoughtful of other campers. We liked being away from the town and away from the main roads, but did hear some train noise occasionally. Overall I would not hesitate in recommending this resort to others looking for a Winter Texan experience. An example of the friendliness of the regulars was one lady who spent time teaching us Mahjong. We camped at Seven Oaks RV Park (55+) in a Fifth Wheel. This park is owned by a CA slum lord. It is run by exec managers who reside in Houston and dictate what the local managers are allowed to do. The exec managers used to run this park and did a VERY POOR job of it (basically worthless). The current local managers have improved the park and continue to try and improve the park with their hands tied by exec managers and the slum lord. The WIFI is was better since they took over (somewhat usable now). There are dog problems in the park. Dogs are walked on leaches, but several residents have fences to have their dogs lose within the fence this works, but also creates problems as owners let the dogs out and go back inside then there is barking and screaming from the owner to quite the dog. Which is worse the owner screaming or the dog barking you decide. The park needs some dog rules and enforcement of the dog rules. We camped at Seven Oaks RV Park (55+) in a Fifth Wheel. Lots of local places to eat and things to see and do. My husband and I have been the on-site managers at Seven Oaks for two seasons. The owner of this park is most definitely NOT a slum lord. The park looks better this year than it has looked in ten years - that is not a reflection of an owner who is a slum lord! We are not aware of continued problems with dogs being outside barking or with people screaming at their dogs. What would be very helpful would be if someone would take a quick video of this type of issue - then we would have video proof of the issue & could confront the guilty party with hard evidence of a problem. Otherwise they just deny that it is happening! We actually stayed for 3 Months. Fantastic Park, lots of space between units. Mix of all types of campers plus park models. Facilities are best in class in terms of upkeep! Very nice and new shuffleboard court, real nice swim pool with hot tub (not overcrowded) People are very friendly, the managers are very professional! Went to other parks, and biggest difference is how spacious this is, and the lack of sewer odor!! 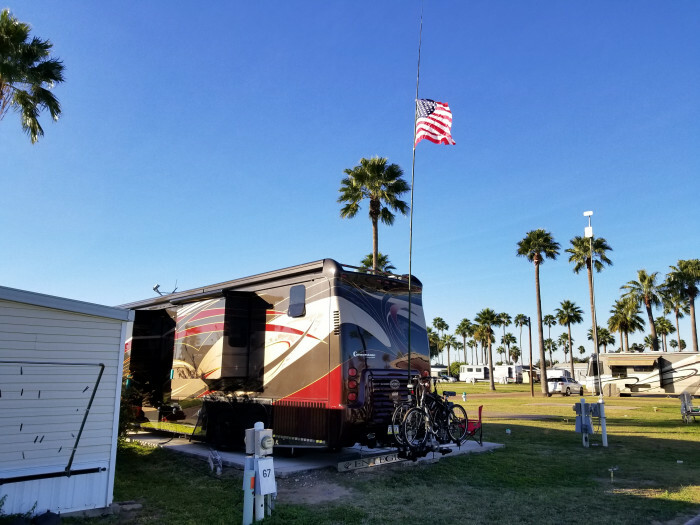 We camped at Seven Oaks RV Park (55+) in a Motorhome. Eat at Yum Yums on Holland Ave for the best hamburger dinner ($5 with soda) around! We came to 7 Oaks for 2 months, sixteen years ago. We used our fifth wheel for three years and then purchased a park model. This park has large, level lots, pool, rec hall and so many activities, we sometimes feel that we need to go north for the summer to rest up. People are super friendly, care and watch out for others. Can't say enough good things about this park. Looking forward towards several more years here. 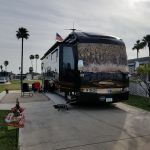 We camped at Seven Oaks RV Park (55+) in a Fifth Wheel. Thank you - our team works very hard to keep this resort the best in the Valley! We have been coming to Seven Oaks for the past six years. This is an over 55 Winter Texan destination. We thoroughly enjoy the camaraderie of our fellow Winter Texan friends. We have folks from all over the U.S. and Canada. We have a great time here and try to get here early in the fall and leave in the spring. There are many activities available and a nice well maintained swimming pool. We have always found the staff and management friendly and helpful. I would highly recommend anyone looking for a resort with nice spacious lots and an abundance of activities at the resort and the surrounding Rio Grande Valley area. We are only about 1-1/2 hours away from South Padre Island and the many amenities and sights to be enjoyed there. Within, literally minutes of drive time, there is everything available that any large metropolitan city has to offer. And the RGV provides an overwhelming welcome to the Winter Texans each fall complete with a Winter Texan Expo at the McAllen Event Center. The residents of the RGV are, for the most part, very warm and friendly. I would encourage anyone who wants to escape the rigors of a northern winter to join us here at Seven Oaks Resort. We camped at Seven Oaks RV Park (55+) in a Cabin. All the night life, restaurants, live entertainment, rich history of the region, and any activities that one could want to indulge in. Shopping in the Mexican town of Progresso is only about 45 minutes away. We feel safe and secure in our resort. For the majority of the winter the weather is fantastic, waking up to another day in paradise each morning. Thank you! Our team works very hard & we appreciate the kind comments. We have stayed at this park for three seasons. The sites are some of the largest in the valley. The people are friendly and there is always something going on most days/evenings, potlucks, bingo, cards, park sponsored meal events, etc. It is almost a family like atmosphere. The people are great. Management does a very good job of taking care of the park and the people. Our nightly rate reflects the monthly rate for a luxury site. 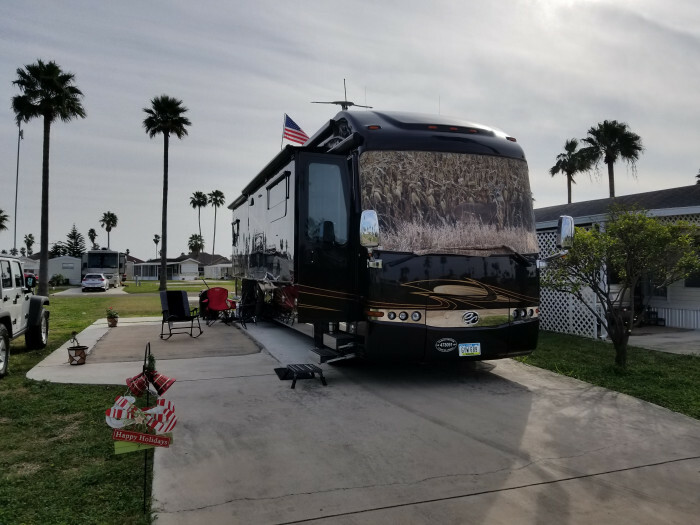 We camped at Seven Oaks RV Park (55+) in a Fifth Wheel. This park had the friendliest and best service we have seen in any park on our lengthy trip. We arrived a day early, no problem. Brought us to our site and stayed until we were fully backed in and had no issues. The site was very large, level, and nice. We did have and electrical problem that we thought was the camper but a neighbor was and electrical work on helped identify it was a supply box issue. The maintenence was there in less than 5 minutes and fixed the breaker. This park has a lot of owner sites but it didn't feel like it. We were welcomed, waved to, and invited everywhere by great people, a true camping community. The only issue again was a lack of working wifi which was disappointing. We would recommend this campground and definitely stay again. We camped at Seven Oaks RV Park (55+) in a Fifth Wheel. A trip to South Padre Island is worth it. The rate in this review is based on a weekly rate. If you are looking for a park for the winter months in the Mission area, this is the one. The staff and all residents are VERY friendly and make you feel at home. Lots of activities to partake in if you want. Great pool and spa. We would highly recommend for winter Texans. Large spacious sites. A nice quiet park away from highways and rail. Golf right next door. 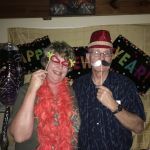 We camped at Seven Oaks RV Park (55+) in a Motorhome. This park has some of the largest sites in the area. The people were nice and check-in was easy. Electricity was 19 cents a KW. The pool and hot tub were clean and nice. The water temperature was perfect. The have a billiards hall with three tables and some exercise equipment. There was a brand new shuffleboard court with 4-5 lanes. The grass burrs are still there. We camped at Seven Oaks RV Park (55+) in a Fifth Wheel. There are nice large sites. It is a quiet neighborhood and close to shopping with lots of restaurants. The sand burrs are still here but they did say they were working to get rid of them. There were lots of dogs but no designated area to walk the dogs so it was "guess where it was OK" to walk them and hope no one complained. The check in seemed a little disorganized but maybe that's because they have new owners. We camped at Seven Oaks RV Park (55+) in a Fifth Wheel. Sites are adequate altho the park has a big problem with burrs. Change of ownership is causing lack of activities. Easy access to shopping and Mexico. Charge for power is .19 per kh. We camped at Seven Oaks RV Park (55+) in a Fifth Wheel. We are back in the RGV for a new season. This park has a new owner. A new shuffle board court is being installed. The pool is 85 degrees and the hot tub is wonderful. They added a number of large concrete sites for those who don't want to deal with grass. Lots of updating is being done and the place looks good. There are still grass burrs but they will be spraying in December and again in March so maybe the burrs will be gone by next season. The work camper staff people are nice and this place is about a mile from Expressway 83 so there is no road noise. The bird sanctuary is only 2 miles away and golf is next door. We like this place. We camped at Seven Oaks RV Park (55+) in a Fifth Wheel. We enjoyed our time here in the RGV. The weather was warm but a bit windy on occasion. The people at Seven Oaks were a blast to be with and the work camper staff treated us well. The pool and hot tub were great and there were activities throughout the week. The grass burrs were a pain but lots of parks had them this season for some reason. This park has the widest spaces we have seen in Mission but they are all back-in sites. The park is about a mile south of Hwy 83 so there is no noise at night. We will be back! 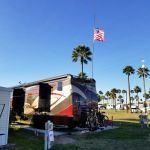 We camped at Seven Oaks RV Park (55+) in a Travel Trailer. Wide streets, large wide sites, free wi-fi at sites, works good. Friendly helpful staff. Back in only sites were easy to get into. Nearly new pool and hot tub were always clean. Laundry,showers and restrooms were always clean and well maintained. The only problem we found were the little stickers in the grass, although we were told that they are everywhere in the Valley. Would stay here again. We camped at Seven Oaks RV Park (55+) in a Fifth Wheel. Park is well maintained but sites are back in only. Community center has many activities throughout the week. WIFI is the best I have experienced in any park. We camped at Seven Oaks RV Park (55+) in a Fifth Wheel. 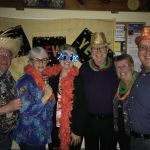 Are you affiliated with Seven Oaks RV Park (55+) ?